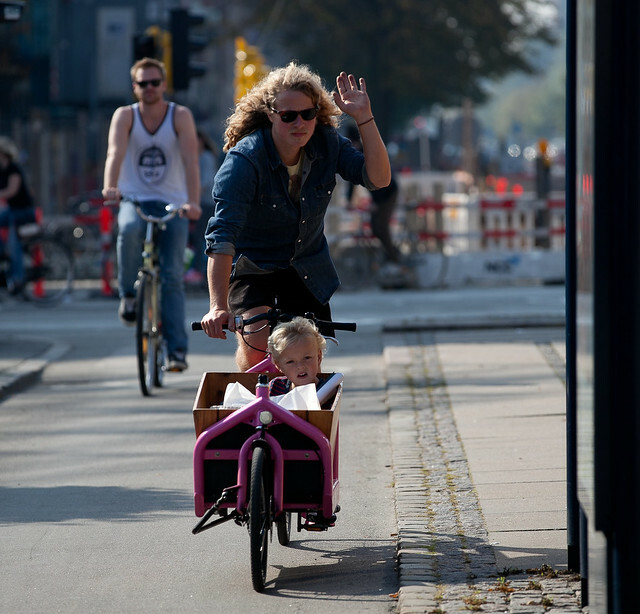 The traditional Long John bicycle has a long history of heavy use in Denmark and Copenhagen. 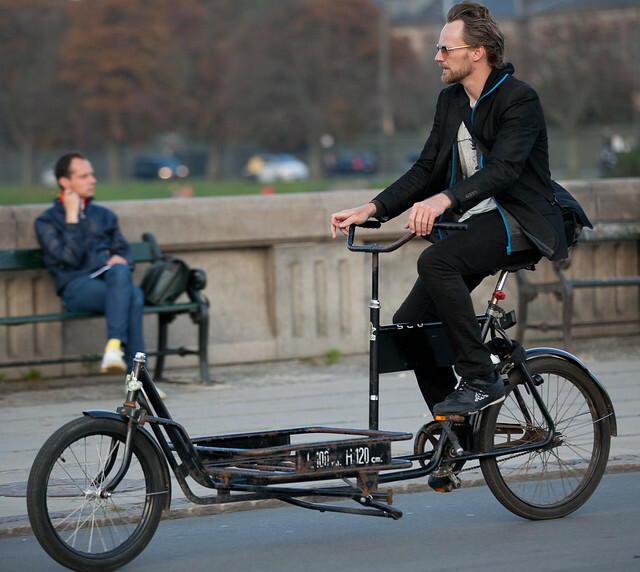 The original Long John bicycle was a Danish invention by Morten Rasmussen Mortensen in 1929. Nowadays a modern fleet of offsprings has taken to the streets. Including the already iconic Bullitt, from Larry vs Harry. The beauty of the Long John is the ability to carry large, heavy loads and still be highly manoeuvrable. Longs Johns became very popular in Denmark with many makers churning out Long Johns for transport and delivery. Today the main cargo seems to be children! 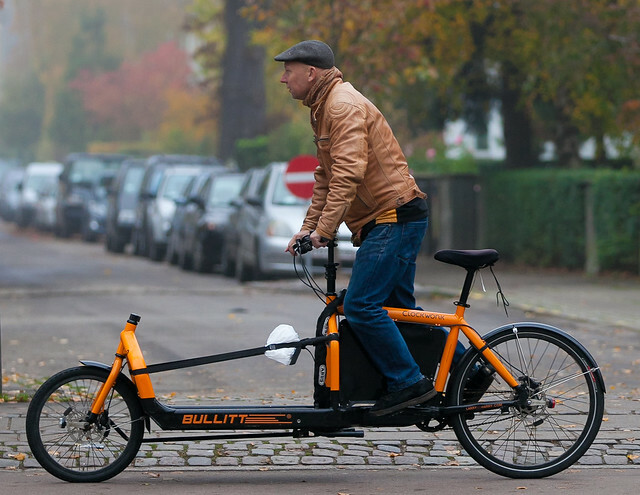 I would love to have a Bullitt or any modern, lighter in weight, Long John! Alas I have no room for one without demolishing a garden wall or narrowing a staircase. One day one of these things will happen and I'll add one of these beauties to my fleet! How much are these badboys? @Anonymous, they are typically 2 - 4.000$ new and tend to keep their value better than ordinary bikes if well maintained. Which appear to be a modern and lightweight version of the Long-John. Apparently they've been making these since 2003, which is IIRC, rather longer than LvsH have been making the Bullitt. 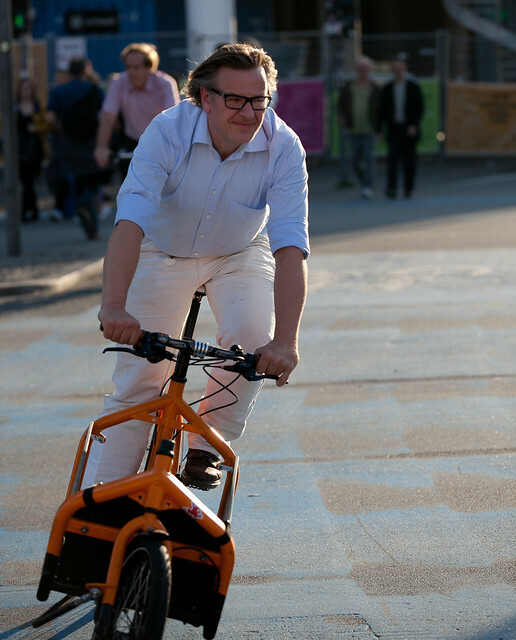 They're only slightly heavier than the Bullitt and are available in steel and aluminium. Anywhere in western north america we can get a long john type bike? I ride the old Long John in the first picture. The serial number suggests, that it's from 1982 (as far as I could figure). I bought it in Århus around 1997 from a kiosk that must have been a small grocery store in the past. I paid 1500,- DKK and had no clue I made the deal of my life (at least so far). 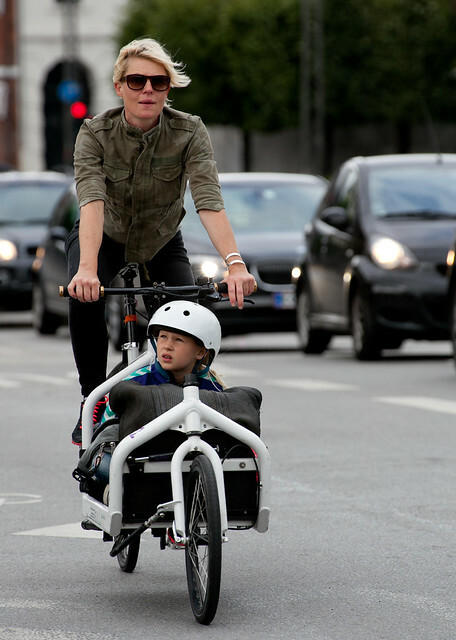 I brought it to Copenhagen and since it's my only bike, I drive it everyday around my neighbourhood by Dr. Louises Bro, so I almost had to be on the blog somewhere. I LOVE my Long John and wouldn't change it for any of the new versions. With a little maintenance it drives like a dream even though it's heavy and it has only one gear. My life depend on it, I have carried my three kids around on it together when they were small, and now I transport my two large and heavy keyboards, AND my saxophone, AND mixer and stuff on it. Resulting in much regret it's 'legs' cracked off since this picture, like on many other Long Johns I meet. These bikes were widely used by yong delivery-boys, and slightly older men often approach me with a little story from their youth as such. It plays a small but memorable role in the canonical and sweet Danish movie Busters Verden.